Being influenced by the news, Euro formed an ascending impulse and may continue forming this wave. We think, today the price may consolidate at the current levels and renew the previous top. Later, in our opinion, the pair may return to the level of 1.3400 to test it from above and then start forming a continuation pattern. 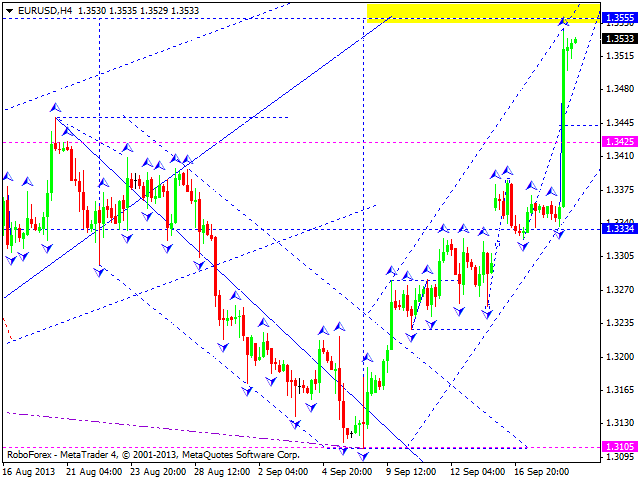 Pound completed its ascending structure, which may be considered as the third wave. 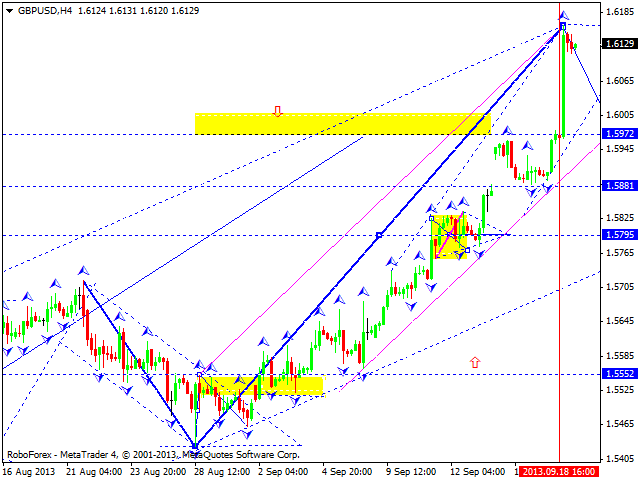 We think, today the price may start forming a correction with the first target at the level of 1.5795. Being influenced by the news, Franc continued moving towards its main target at the level of 0.9100; this movement may be considered as the third wave of the current correction. We think, today the price may consolidate for a while at the current levels and then start forming another impulse to reach a new minimum and the target of this wave. Later, in our opinion, the pair may return to the level of 0.9190 to test it. 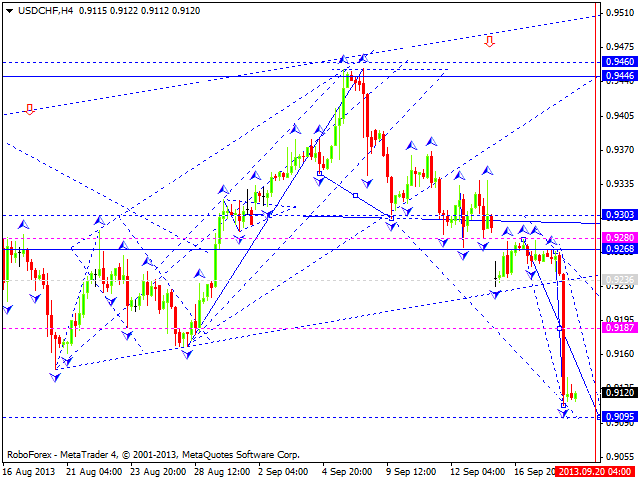 The USD/USD currency pair completed a descending wave and right now is moving upwards to reach the target at 101.20. 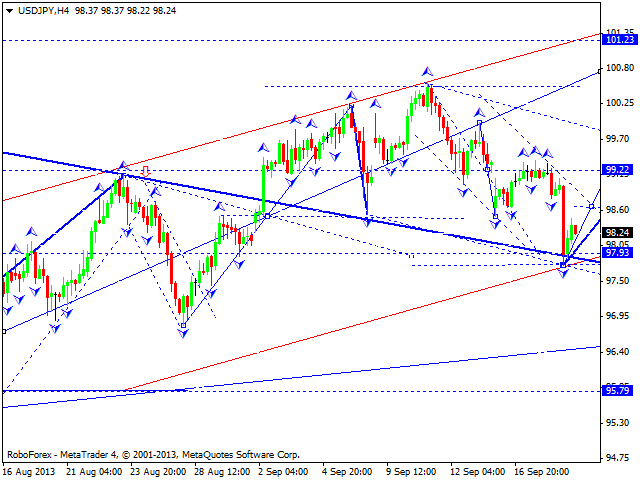 We think, today the price may form the first ascending wave with the target at the level of 99.20. 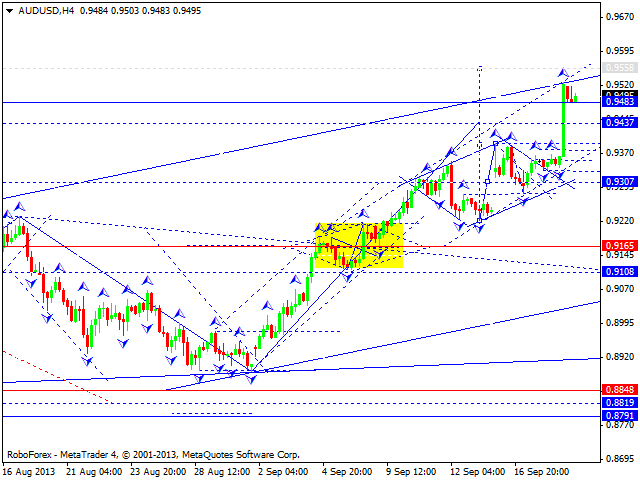 Australian Dollar reached the target of its ascending structure. We think, today the price may consolidate at the current levels, renew the previous top, and then form a continuation pattern for a new descending movement. Gold broke the channel of the previous descending wave and continues forming an ascending impulse. 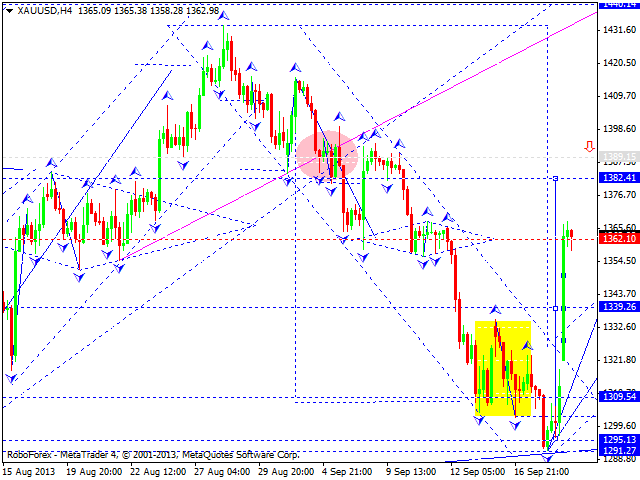 We think, today the price may reach the local target at 1380. Later, in our opinion, the instrument may fall down to reach the level of 1340 and then grow up towards the target at 1390.